I was tempted to never write this blog post because I think the negative response to the Ticker is a bit ridiculous. 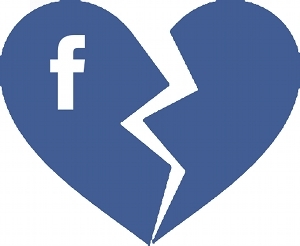 You might sense an an ounce (or metric ton) of sarcasm in my post How to Keep Your Old Facebook Profile and Get Rid of the Ticker FOREVER!. Well, this time I’m actually going to tell you how to do it (get rid of the Ticker, not keep your profile — you’re screwed on that one). At the very bottom of the Ticker in the right hand corner, you’ll find two icons: 1) a gear to control who sees you online for chat, and 2) a “little arrow thing” to hide your Ticker. Click that arrow to hide the sidebar. Of course, this also hides the chat. As soon as you open up chat again, the sidebar will reappear. But at least that will hide it from your view during non-chatting moments. If you don’t chat much and really hate the Ticker, this may work for you. There is a dividing bar that separates the Ticker from the list of friends who are currently online. Hover over that, and you’ll notice up/down arrows. Drag down to give you one enormous, glorious Ticker. That’s what you want, right? No? Okay. Then drag up and your sidebar will only be a list of your friends who are online. I’ve received messages from a few people who say that they do not see what I show in my screen grabs above. Instead, the arrow icon is located at the top of the sidebar, under the Home link. Unlike my explanation above, your Ticker is not replaced by a large sidebar of friends who are online. Instead, it looks like the old Facebook before the Ticker existed. Look, I like the Ticker. I like that when I leave my News Feed (which is most of the time these days), I can still keep up with what people are doing. I like that I can catch up on light weight activities that don’t show up in my News Feed (recent comments on posts I missed, interactions with pages, etc.). And maybe I’m biased. As a business owner with a Facebook page, the Ticker is important to me. If you like my page and interact with me, your friends will be notified in their Tickers. They hide that, they don’t see it. But it’s up to you. If the Ticker gives you fits, you can hide it without taping a piece of paper over it. I just hope that people hide it for the right reasons. Some people hate the Ticker because it’s information overload. I get that. But others hate it because of what it uncovers — the inability of friends and friends’ friends to properly use privacy controls. 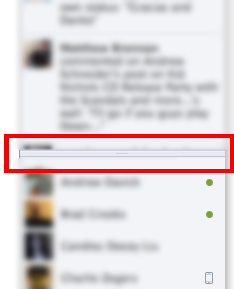 If you refuse to adjust your privacy settings from public or friends of friends, hiding your Ticker won’t solve that. And asking all of your friends to hide their Tickers won’t solve it either. Will you be hiding your Ticker? Or do you find value in it?